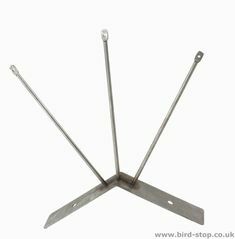 The Stainless Steel Triangular shaped ridge bracket is built to carry 3 parallel lines of wire along the ridge of a roof tops to prevent seagulls from landing or perching on the tiles. The posts stand at 150mm above the ridge and have eyelets at the top of the posts so bird wire can be run from bracket to bracket which should be set at 3m intervals. This makes the triangular ridge bracket a fantastic and comprehensive seagull deterrent. 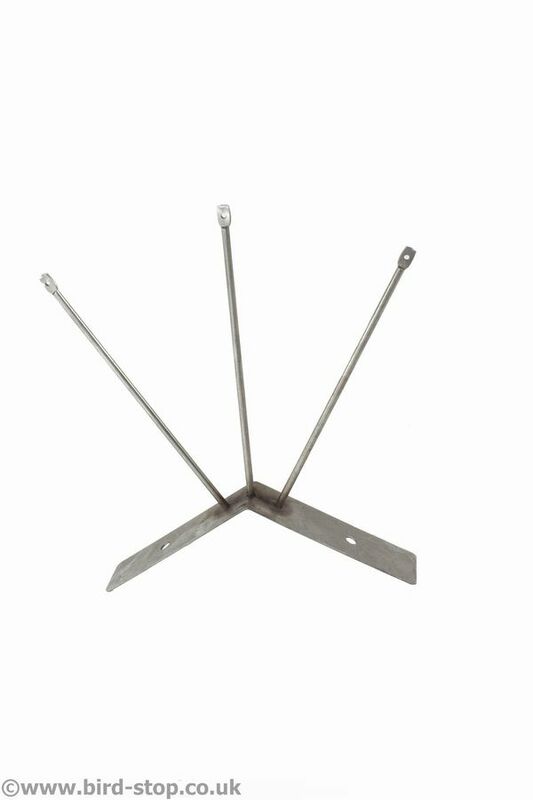 The ridge brackets can be fixed in place using screws in the pre-drilled holes in the steel base, or they can be bonded using our silicone adhesive. Either way you will be left with one of the most efficient seagull deterrents available for the price on the market today.